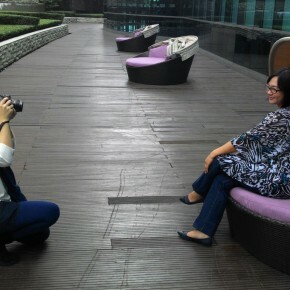 Behind the scene with Aelke Mariska as photographer, at pool garden, Pullman Hotel Jakarta. It was a beautiful day on Sunday, 23 August 2015. 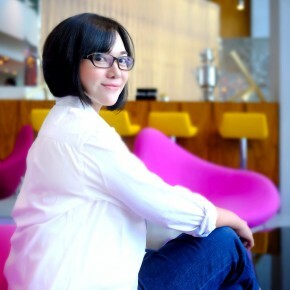 Aelke, I and our dear friend, Anis rushed the morning to Pullman Hotel, Jakarta. Ms. Rita welcomed us friendly and showed us the hotel she worked for. The lobby itself shows clearly that they picked one clear design concept for the hotel: a hotel gallery. Statues, paintings and contemporary arts are here and there as the interior design of the hotel. Even the chairs, sofas and centerpieces are clearly show that the hotel really thought it trough on designing its interior.